Gravity Rush was a game on the PS Vita that I told myself to buy long ago but somehow never got to. Reviews were good and the graphics and gameplay were positively unique to its time. Years later the game appears again to charm the next generation console gamers with a remastered version for the Playstation 4 (PS4). 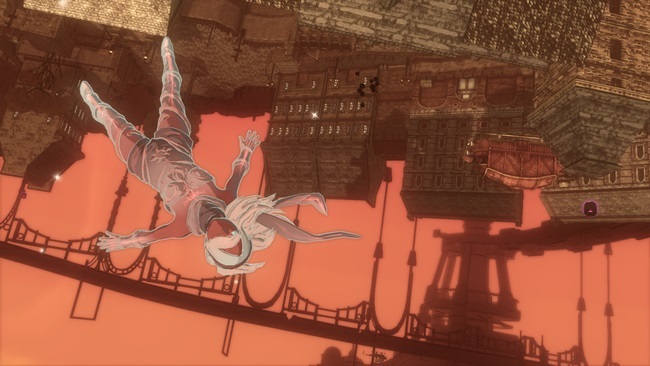 Having made an appearance at the recent GameStart 2015, Gravity Rush Remastered received a positive reaction from the crowd gathered at the stage as a demo and explanation of the game was showcased. Following the story of Kat who wakes up with no memories and a cat companion that influences her personal gravity, Kat goes about saving the floating city of Hekseville and its citizens from mysterious “Gravity Storms” that causes all sorts of problems. But give it a few hours of practice, combat and lots of gems found lying around the city that upgrades the many basic abilities and I am gracefully moving around the town like an expert. Although I got to say it is still fun to purposely perform some unglam landing once in a while. Thankfully there is sort of an in game way point guide so I never got lost while trying to see what else I can do with my gravity defying powers. The graphics look good as well in full HD and while it feels more of an upgrade from the PS Vita rather than a full overhaul as compared to other PS4 games like Fallout 4 and Star Wars BattleFront, there is nothing else to complain about. The art style and atmosphere does suit the game theme well with its anime infused European style and character designs both playable and non-playable blend in nicely. Overall an interesting game to add to the PS4 Game Library this Christmas and with all previous DLCs also included as well, this sweetens the deal for a highly recommended game for both old and new gamers to the series.